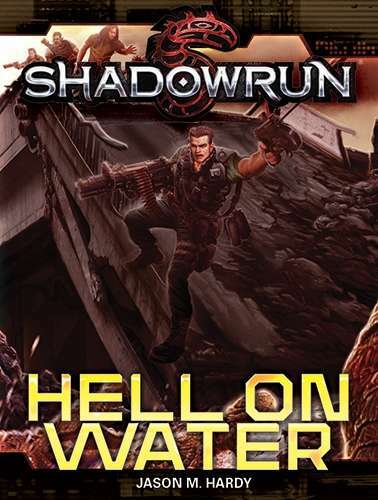 In this episode we speak with Jason M. Hard the Shadowrun line developer and author of the newest Shadowrun novel Hell on Water. Jason talks with us about his inspiration and the development process for creating a novel. Jason also shares with us some news on upcoming releases and we talk about the possibility of Shadowrun audiobooks. Make sure to follow us on Twitter @CriticalGlitch1 and tweet a picture of dice, or gaming, or a positive message on March 29th the hash tag #Tinner to have a chance to win a DriveThruRPG gift certificate. This entry was posted in Authour, Podcast Episodes and tagged 4th Edition, 5th Edition, Audiobook, Catalyst Demo Team, Catalyst Game Lab, Gencon, Hell on Water, Jason M. Hardy, Kevin R. Czarnecki, Mel Odom, Neat, Novel, podcast, Robyn King, RPG, Russell Zimmerman, Shadowrun, Table Top by Tim Patrick. Bookmark the permalink.